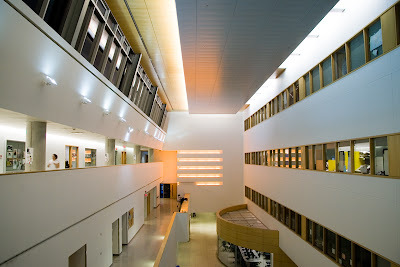 The interior of a section of the TEL* Building at York University in Toronto, Canada. The rooms along that left hallway are where our design courses were taught. An exterior photo of the same building at night. Oh my God!!! !...it's stunning and the outer edifice is beautiful too.